Honda have a big year ahead of them with two range-defining models finding their way to our roads in the shape of the super-exclusive RC213V-S MotoGP replica, and the much awaited return of the far more affordable CRF1000L Africa Twin. But with both bikes having already broken cover in recent months, the Milan headlines were dominated by a worthwhile, if worthy, overhaul of the six models that form the popular CB500 and NC750 ranges, and a trio of brave concept models. Lead amongst the concepts are a duo based on Honda’s middleweight naked CB650 - the CB4 and Six50. 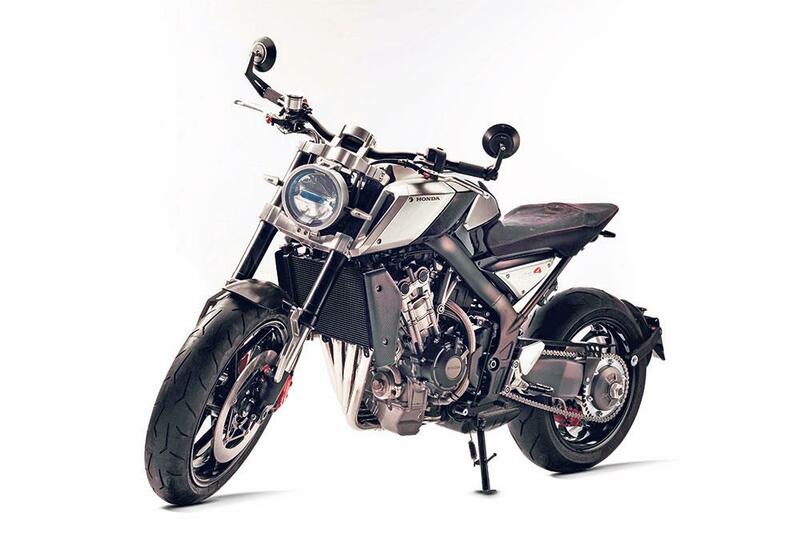 With the Six50 Honda have added a futuristic take on the normally retro-inspired scrambler class, while the CB4 has a much more aggressive, modern streetfighter style. The CB4 is a very minimal and neatly designed bike with a single round headlight and small, round clock unit. Two air scoops either side of the tank add weight and size to the front of the bike for that classic, front-heavy streetfighter stance, while the back end tapers down to a slim point, with dual exhausts on the right-hand side. Honda have even gone with a single-sided swingarm to add to its aggressive looks. 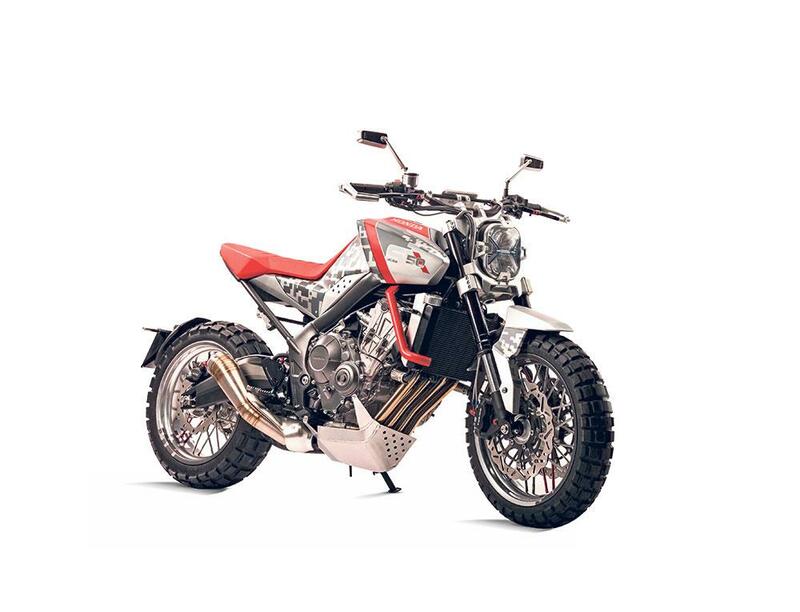 Meanwhile, the Six50 is Honda’s futuristic scrambler concept, featuring minimalist handguards, wire spoked wheels, off-road tyres and bright red crash bars. The single-sided swingarm of the CB4 is replaced by a conventional item on the Six50, no doubt for more durability and strength over rough terrain. A metal bash plate protects the exhaust downpipes from being damaged by rocks. Both models get a set of swept four-into-one headers that are inspired by the iconic CB400/4, ending in a dual-exit pipe on the CB4, and a single megaphone on the Six50. Likely to be as much a toe-dipping exercise as they are an attempt to appear more contemporary against a largely conservative range, strong positive feedback on the models could result in production versions in the future, but the firm has given no indication that this is imminent. 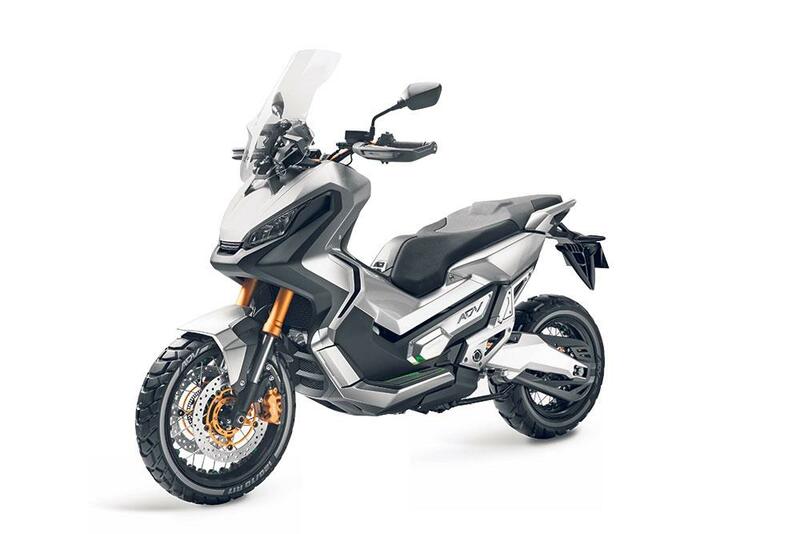 Honda also whipped the covers off what they’re calling their City Adventure Concept, which they say “blends the go-anywhere capability of an off-road bike with the practicality and ease-of-use of a scooter”. The bike – based it would seem on the Integra 750 – has wide off-road bars with handguards, and long-travel suspension. 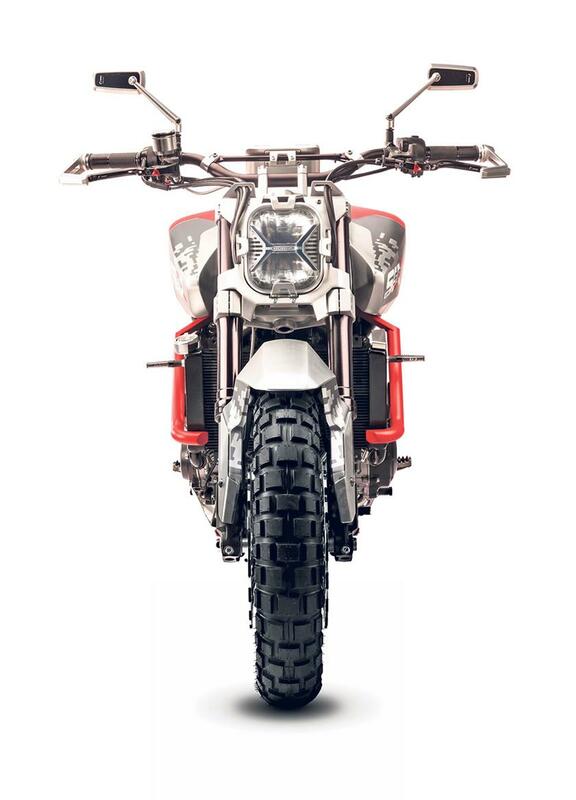 To help handle the bumps off-road Honda have opted for a 17in front wheel, with a 15in wheel at the back. The Japanese firm say they’ll look at putting the City Adventure into production if reaction to the concept bike is positive, but beyond the crumbling infrastructures of emerging economy countries, it’s hard to see where the City Adventure would really resonate with potential buyers.